Glendale based artists Paradzai Mesi of Njerama boys' disappointed revellers in his home town, after failing to perform his own song and had to be assisted by the sungura ace Alick Macheso at 007 Glendale on Sunday. 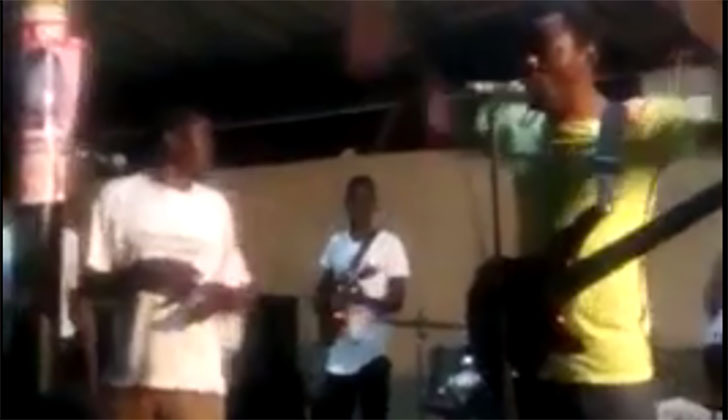 Messi was called on the stage by Macheso to sample his "Tose Tiri huruva" hit but failed to sample even one stance due to drunkenness. Macheso felt sorry for Mesi and promised to assist him with his studio amid cheers of legions of fans who had come for his show. However, the turnout was pleasing this time since it was almost a full house despite the cash crises in Zimbabwe. Extra basso did not disappoint as he left fans clamouring for more and the departure of the three sacked band members Donald Gogo, Taffy Nyamunda and Forward Antinio could not be noticed as Ochestra Mberikwazvo gave a splendid performance. As usual the Macheso's Glendale shows are characterised by violence from miners (Makorokoza) fighting for hookers and the police had a busy day in arresting them.